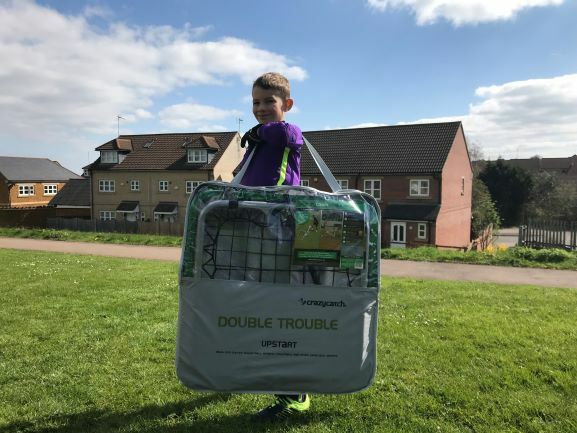 GET DOUBLE THE INSANE ACTION WITH THE CHEEKY LITTLE CRAZY CATCH UPSTART DOUBLE TROUBLE. 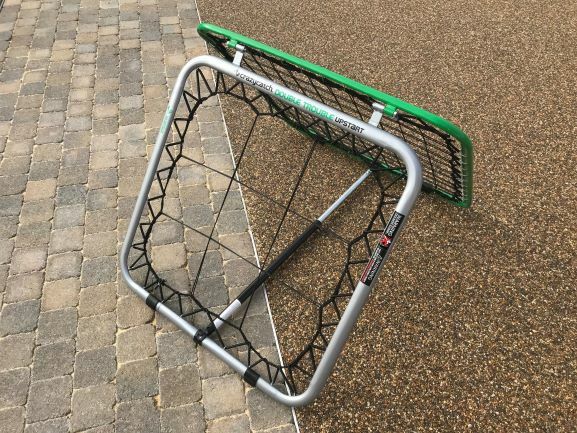 The Crazy Catch Upstart Double Trouble is a dual INSANE sided, portable rebound net for small and large ball athletics training. 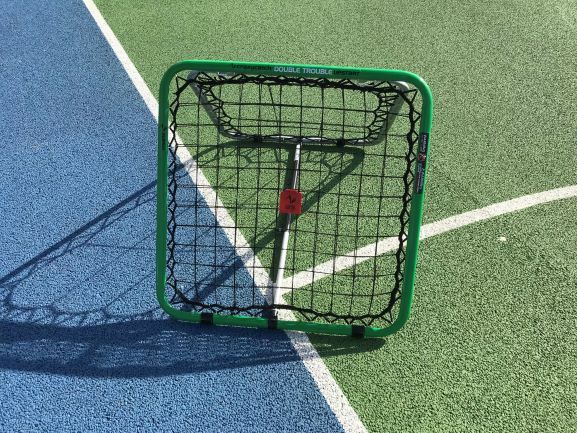 Two different nets rebound either large or small balls in UNPREDICTABLE directions to help athletes improve reaction time in any ball sport. 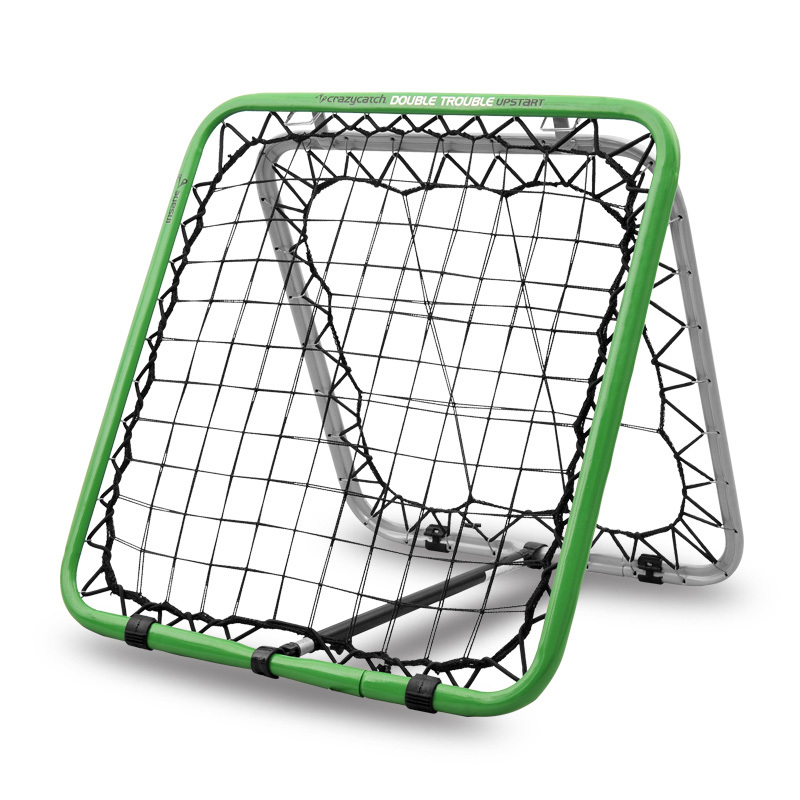 With a rugged steel build and tough nylon nets, this little rebound net is perfect for individual or team training in any setting. Large ball rebound on the other, EG: Football, Basketball and Netball. 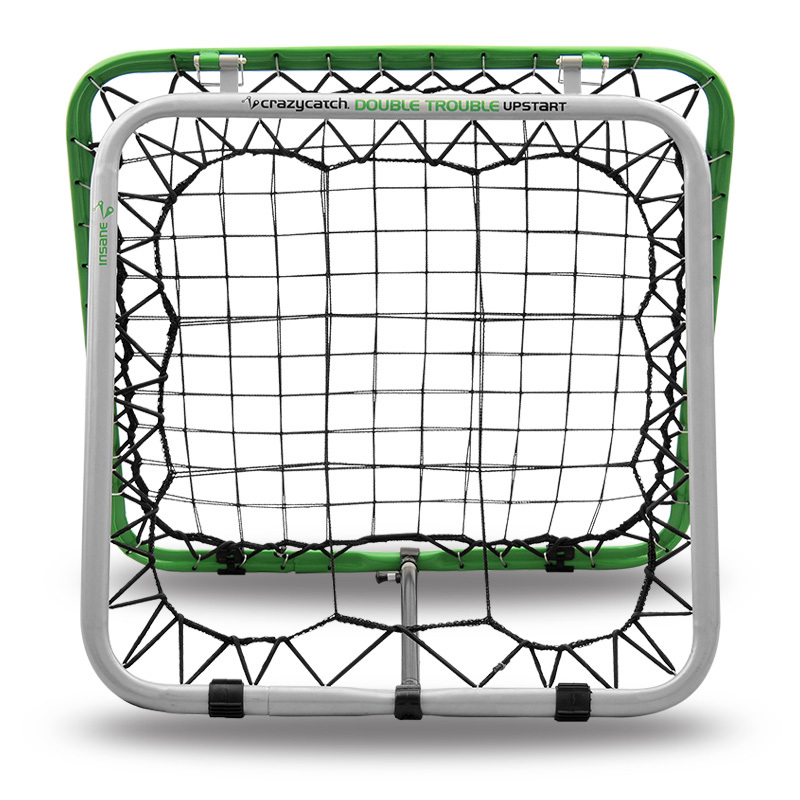 Convenient smaller size for indoor or outdoor use – take it to the beach or park for lots of fun. 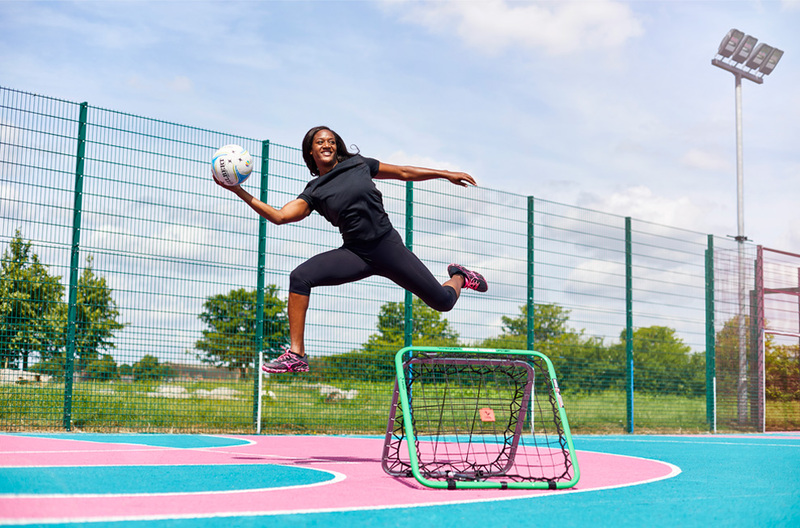 Perfect model to get the little kids started towards a lifetime of healthy active fun.